You can install Linux just fine right out of the box, you just need to make sure AHCI is enabled in the BIOS. If your BIOS does not have an option to set it, then chances are it will detect it automatically. Once you have your SSD installed and your OS loaded onto it, you just just need to make sure the TRIM function is enabled. The program that does this is called “fstrim”. So basically, fstrim goes around picking up the garbage left behind by the file system so that when it is time to write to a block again, you don’t have to take out the trash every time. This can obviously speed things up as the drive gets more and more use. The problem is that by default, fstrim is usually installed but there is no automated way to trigger it. So, it’s great that we can do this manually but this should be automated, no? There are many tutorials out there but I have decided to share how I did it and why I did it. Because there are people with laptops and some with desktops and most solutions are either or but mine I think satisfies either or both and it is fairly easy to set up. Let’s look at some of the scenarios, if you have a laptop then we can write a simple script to run fstrim at boot but if you have a desktop, you may not reboot very often so this solution is not very good for desktops. 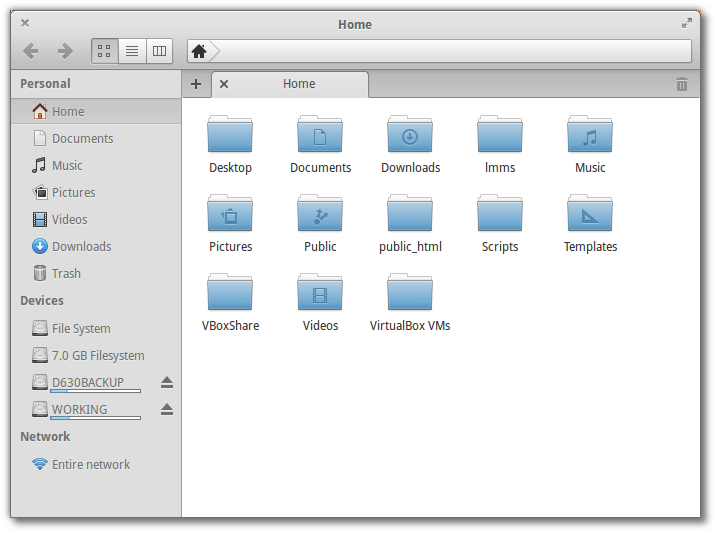 If you run a desktop, you could just run a CRON job periodically and this may satisfy a laptop user as well. The best combination is both! I believe that fstrim should run more often to clean smaller amounts because, let’s say you ran your laptop for a few days, and fstrim only ran at boot, then the next boot time would be increased because it would have to wait for fstrim to do its work. We will edit the rc.local directly and add the command there. 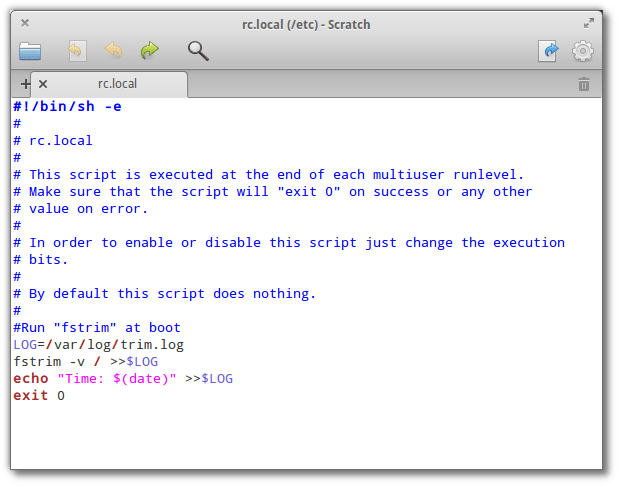 We will then create a script and add it to /etc/init.d/ and create links to rc0.d, rc6.d and cron.hourly. Here is my reasoning for doing this. Running a cron job every hour should not tax the system for normal use, this will keep the fstrim load in check. When you shut down, rc0.d will run fstrim during a shutdown and this should have cleaned most of the file system. When the system starts, rc.local will catch any little thing left with little to no delay in booting. If instead of a shut down your reboot the machine, the same process will occur except that rc6.d will execute instead of rc0.d. Now, in the event of weird things happening to your system and a clean shutdown or restart was not done, rc.local will catch it all, but might add more time to your boot. So, once this is all set in place, it should be completely automated. 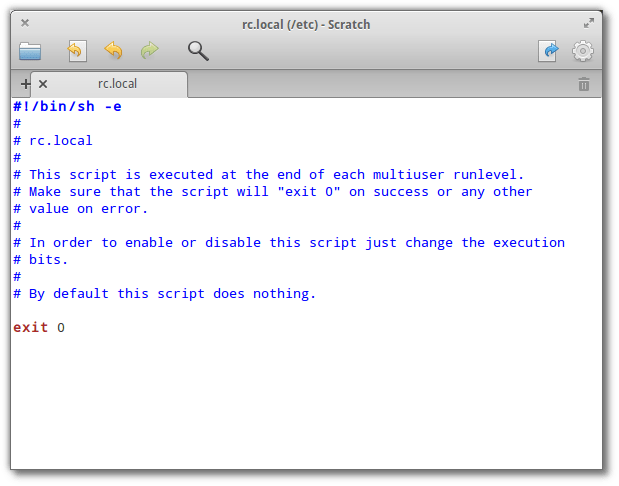 Fire up your favorite terminal and edit the rc.local file. Now, every time you start or reboot, fstrim will run! Next, copy the file to /etc/init.d/ using the following command. Tagged: fstrim, linux, ssd, trim, ubuntu. Isn’t once a week enough? “Isn’t once a week enough?”, sure, it all depends on your needs/situation, you have to make that decision. Based on what I understand of how an SSD operates, it would seem to me that to keep the pages that have been marked for deletion to a mininum would be ideal, that way, the block is freed and ready to be written to. Also, it would seem that the more a drive is used and filled, the more crucial to use TRIM more often versus a drive that is only say 10% full. Here is an interesting post on NAND FLASH type memory..
incidentally “sudo scratch /etc/rc.local” not opened the text editor for me and I thought Scratch is not installed on my freya beta. later learned “gksudo scratch-text-editor /etc/cron.daily/trim” is the command to open the file in text editor. Sabin, yes, you are correct! I had forgotten that I had created a symbolic link in /usr/bin from scratch-text-editor to scratch precisely for that reason, the command is too long 🙂 I made a note in the post to reflect that. Good catch! or as many as you need, in the script file. If you get the hybrid drive to work with fstrim, please post back on here the results. This post gets about 800 hits per month and that would be helpful to someone, I am sure. Remember sdc is a device not a file system. Unable to self mount drives in the link provided so unable to see if it works ? Janus, did you verify that the script file works by manually running it first when drives are not mounted? I think your problem is that you used “sudo”, which may have made the owner of the file root. Right click on the file >properties and see who the owner is. When you login, it can’t execute a root file. You can also just check off “Make executable” when right clicking on the file properties once you change the file ownership back. can you post the contents of the file? Looks like your problem is the mount command “–mount” , it needs to be --mount two dashes. But it looks like my site theme is merging the two dashes. If UDISKS is installed, and the file has the correct ownership and permissions it should work. Does it give an error at the command line when executing? Great to hear Janus, as for the hourly cron job that is what your use case calls for. That is one of the reasons I like this method… flexible. It looks like Debian is implementing some kind of Linux Standard Base protocols in initd scripts. If you get it working, please post back how you were able to fix the error message, I am sure someone could benefit from it. To get rid of the error I just had to add those two tags (### BEGIN INIT INFO and ### END INIT INFO) in their appropriate place in the fstrim.sh script. hoping someone can put my mind at ease, followed instructions above and ive just checked the log after a few days. the trim thats happening on startup seems to be way too high acording to my understanding ? ive only got a 120gb SSD, and the trim on startup is about 95GB!? is this correct or is something amiss ? Hi Liam, I never noticed it before but I just looked at my log and when I boot it is trimmming 167 GiB, I have a 250GB SSD. So it appears that is normal. Thanks for the article. 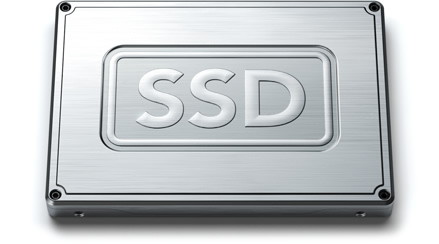 Used information to set up my new 240Gb SSD running Mint 17.3. I run VB VDI’s for evaluation and needed to keep ‘things clean’. Added my modified root install structure to the rc.local including the partition on which I store the VB vdi’s. Good learning tool for an old man, me. would you know how to adapt this to Mint 18 ?